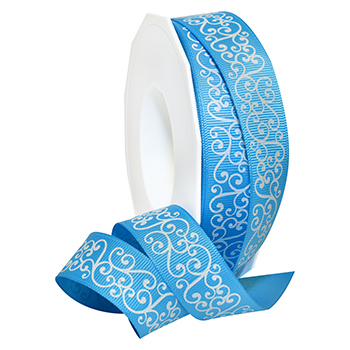 A trendy decorative ribbon for floral, wedding, and home decor. The flowing swirl pattern is glittered to highlight the design. Beautiful.. Great for Weddings, Parties, Decorations, Home Decor, Floral arrangements.